Michigan Governor Rick Snyder has announced that Flint water is once again safe to drink, and the state will soon cease the free bottled water service it has provided to Flint residents in the wake of the city’s drinking water crisis. “The scientific data now proves the water system is stable and the need for bottled water has ended,” the office of the Republican governor said in a statement. “Since Flint’s water is now well within the standards set by the federal government, we will now focus even more of our efforts on continuing with the health, education and economic development assistance needed to help move Flint forward.” Residents and local representatives are reportedly hesitant to trust assurances from the same administration that was responsible for the water crisis in the first place. Although the city switched from Flint River water to Lake Huron water — the original source of clean water for the city — in 2015, the community remains wary. “I don’t trust the water. Period,” Flint resident Debra Coleman told WJRT local news. “It could be five years from now and I’ll still never drink this water.” While trust remains an issue, some of those responsible for the crisis are now being held accountable. In 2017, six current and former state and local officials were charged for actions that contributed to the crisis. A look inside a Flint water plant facility. 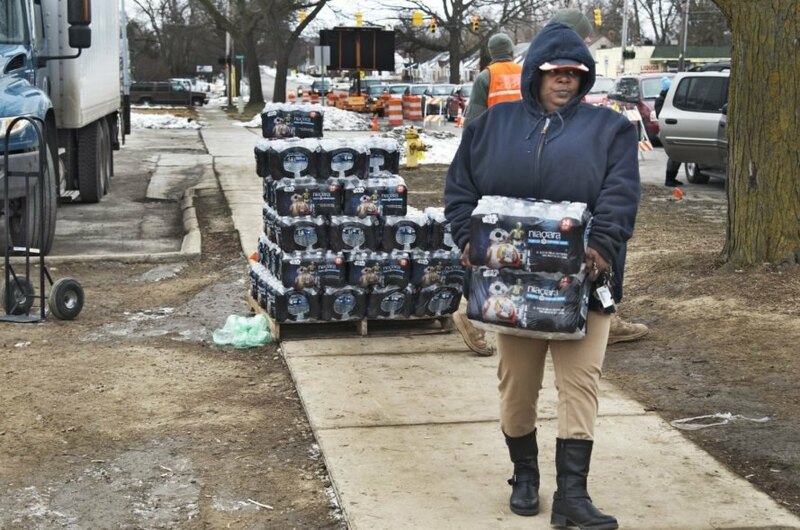 A Flint resident picks up water bottles in the wake of the city's water crisis.